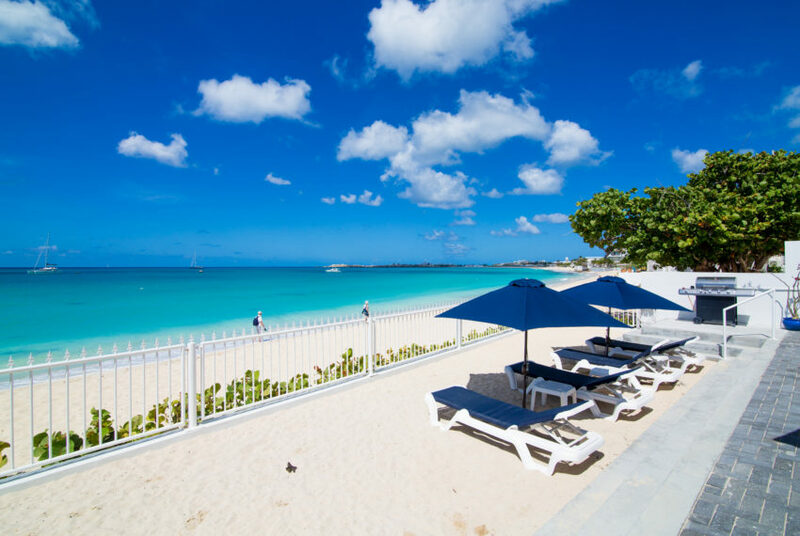 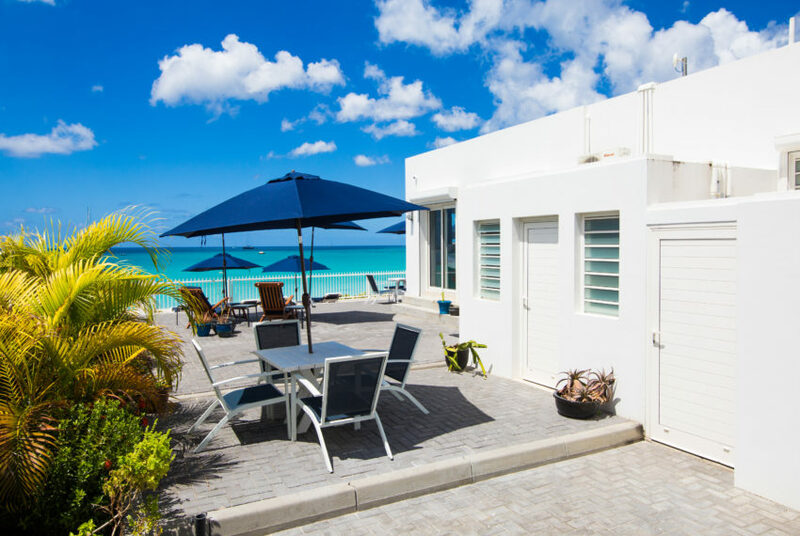 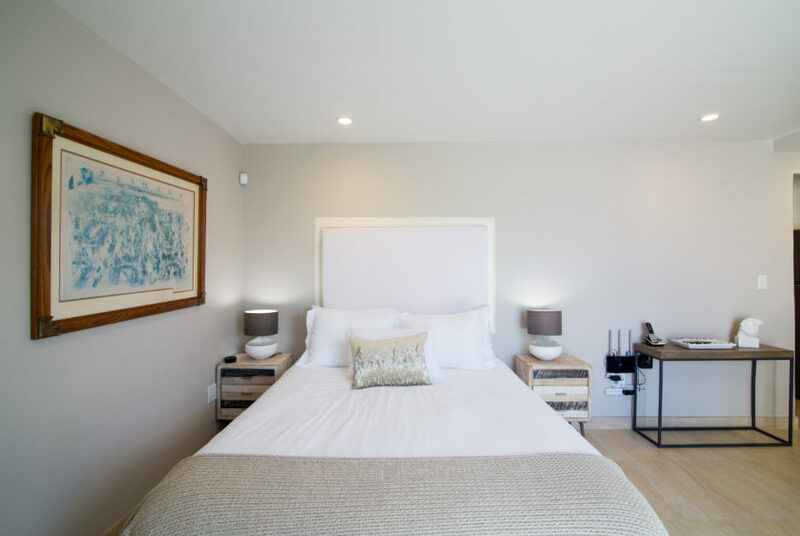 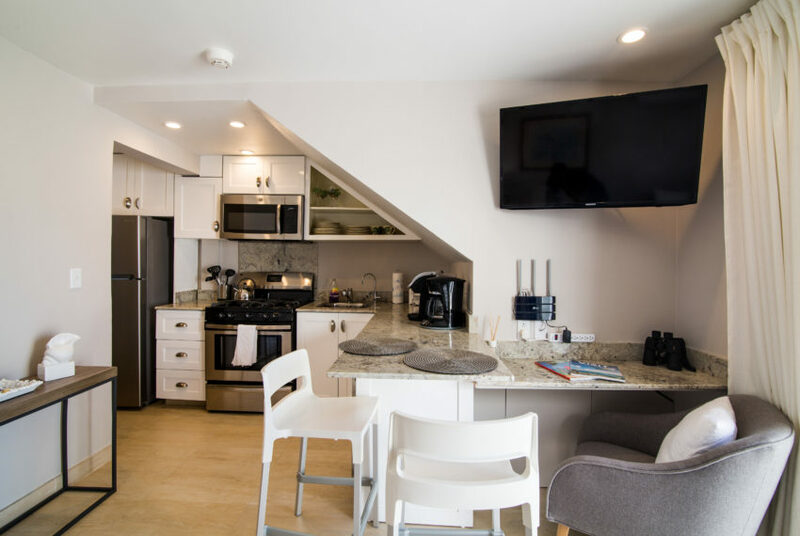 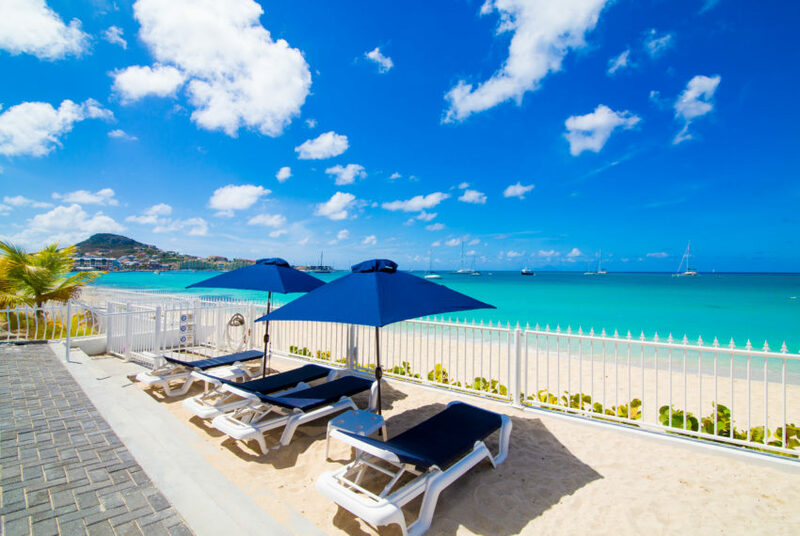 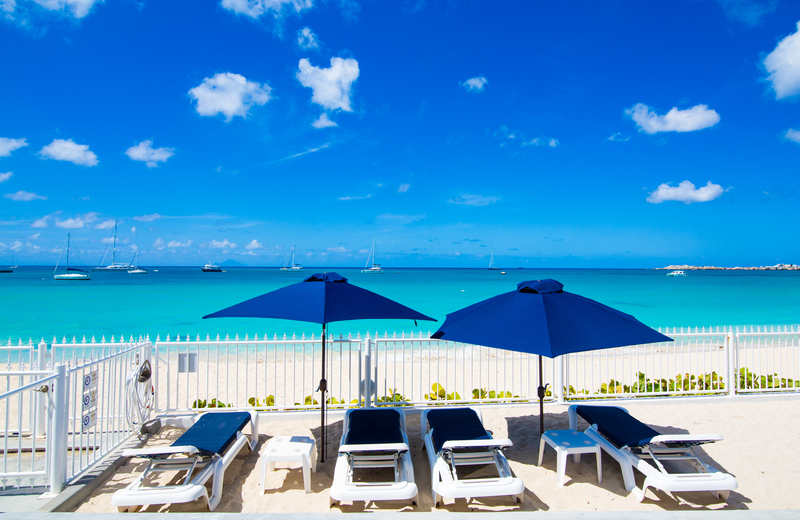 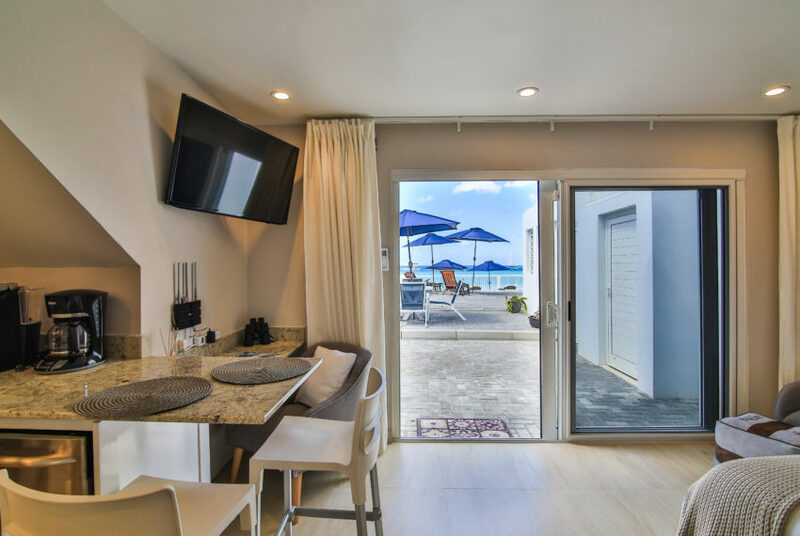 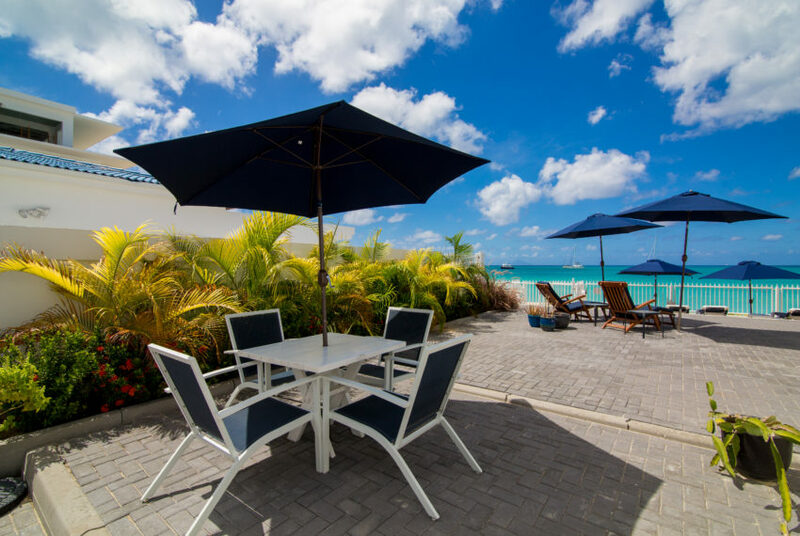 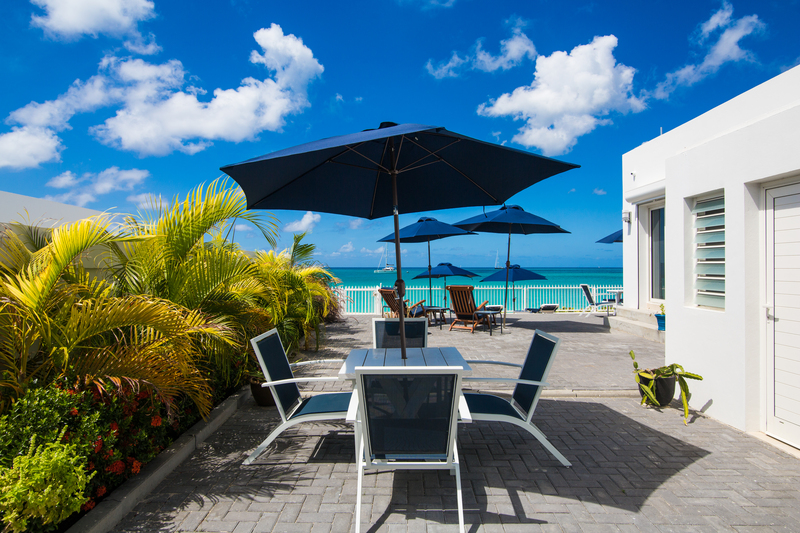 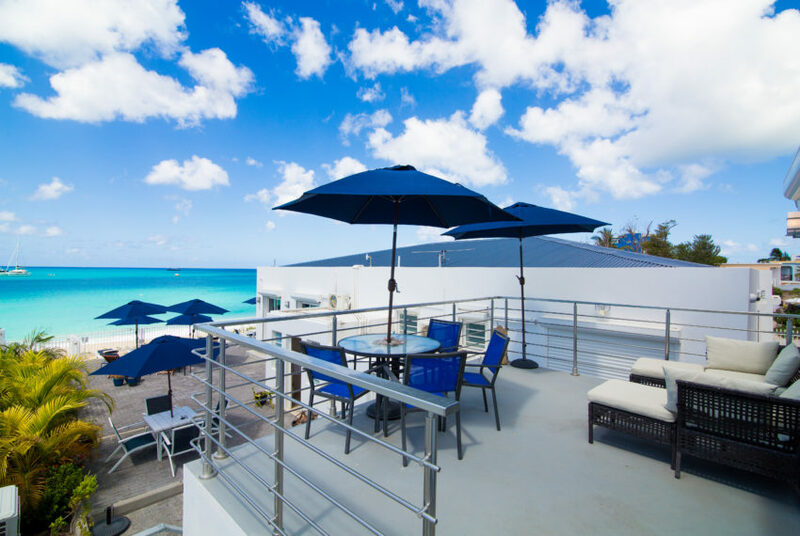 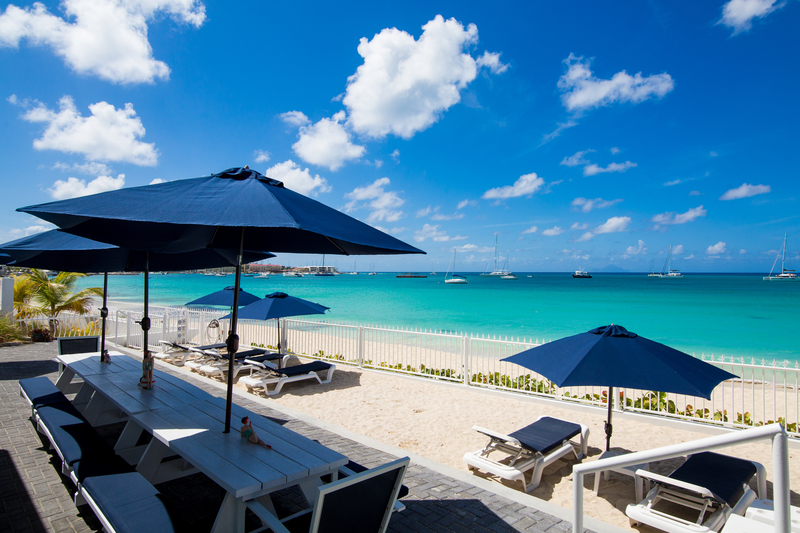 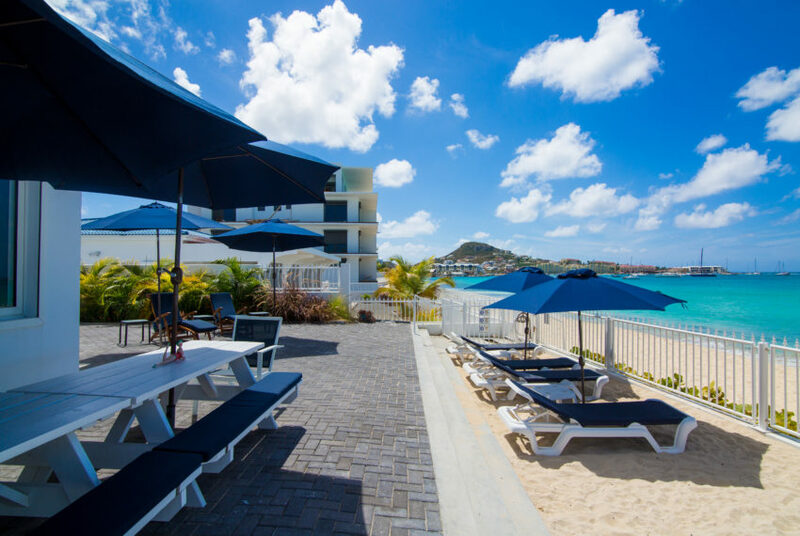 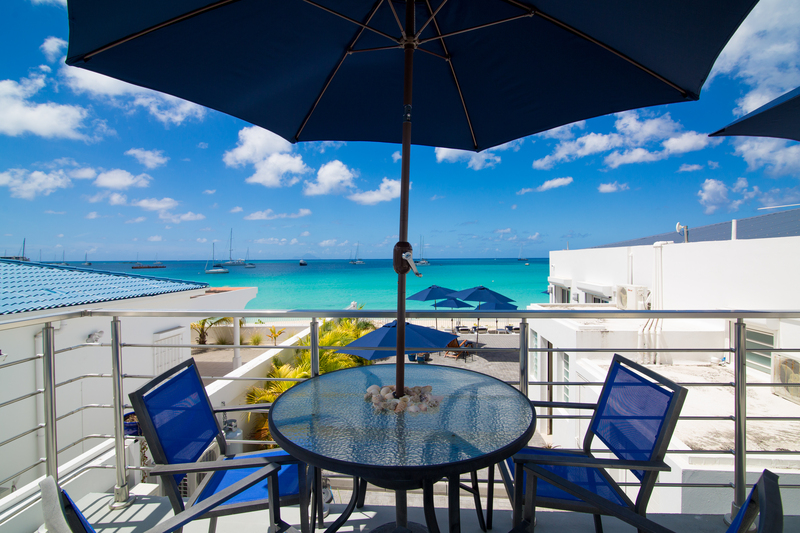 Directly on Sint Maarten’s Simpson Bay beach, this luxurious beach level studio guest house has everything you need for your vacation. 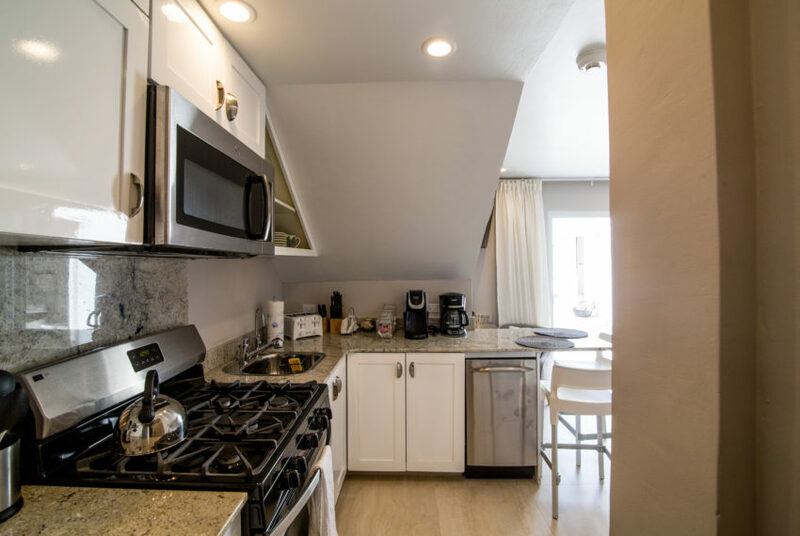 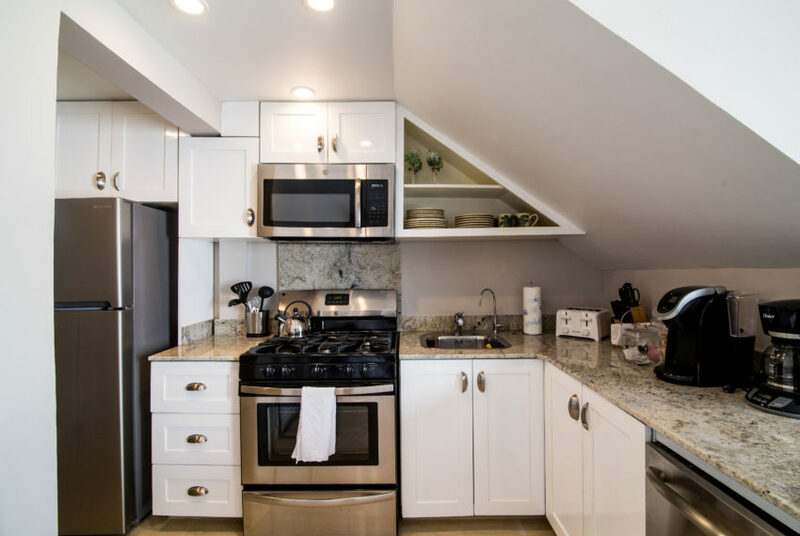 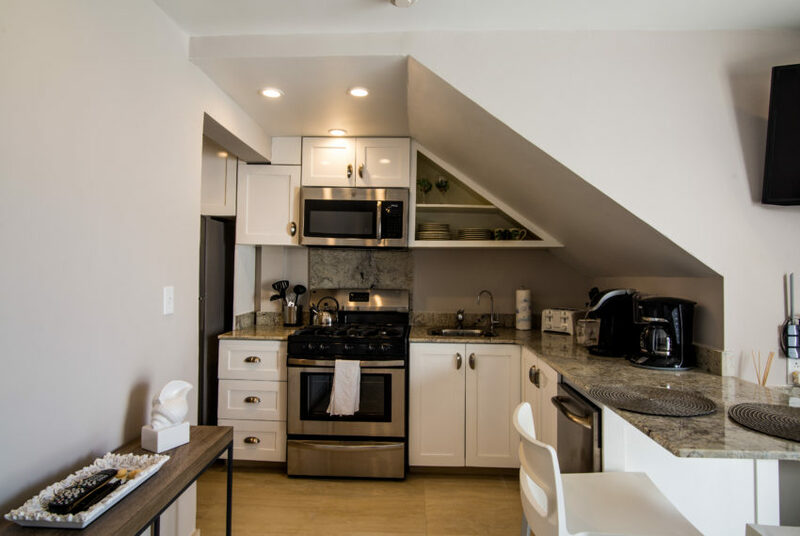 This studio is fully equipped with a full kitchen including a full size gas stove/oven, microwave, refrigerator, dishwasher, reverse osmosis water system for drinking water and Keurig coffee maker. 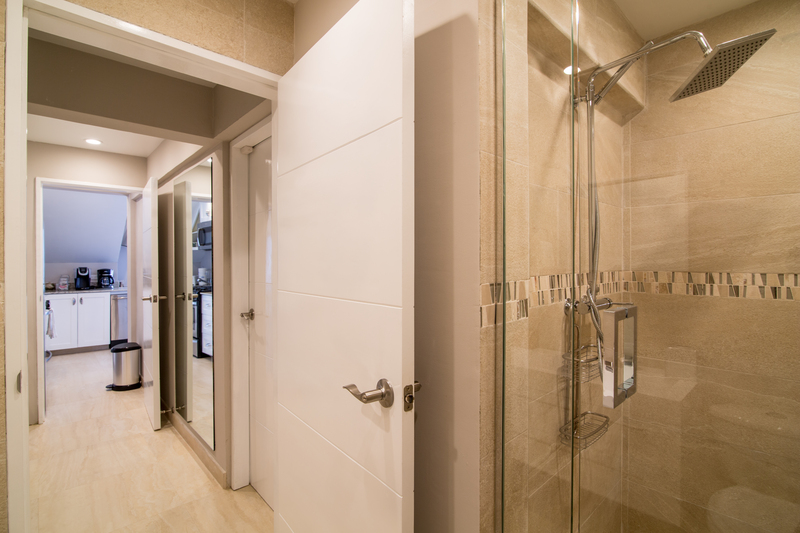 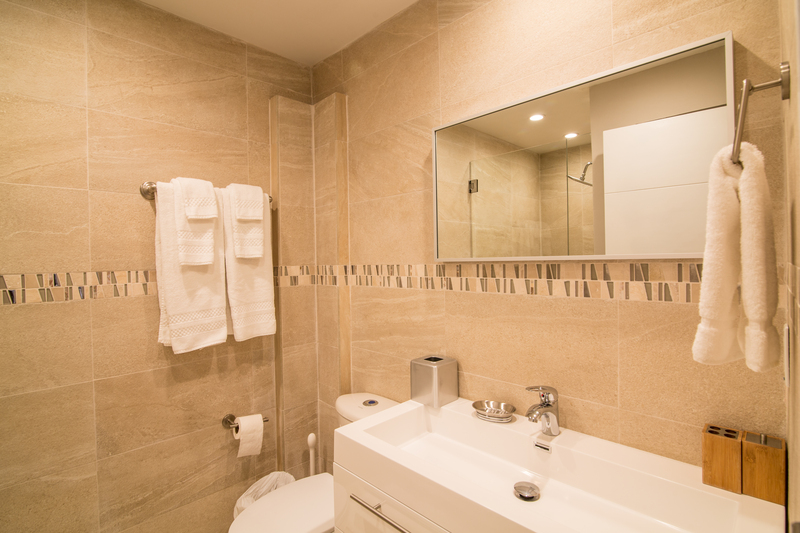 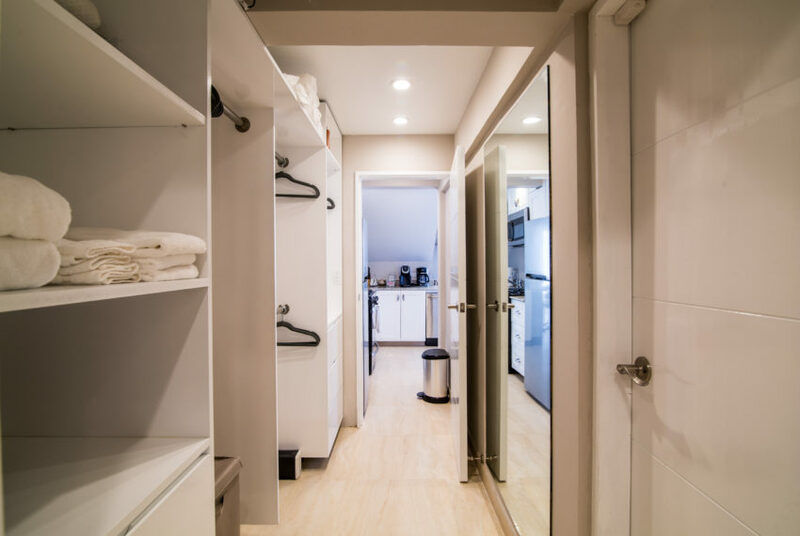 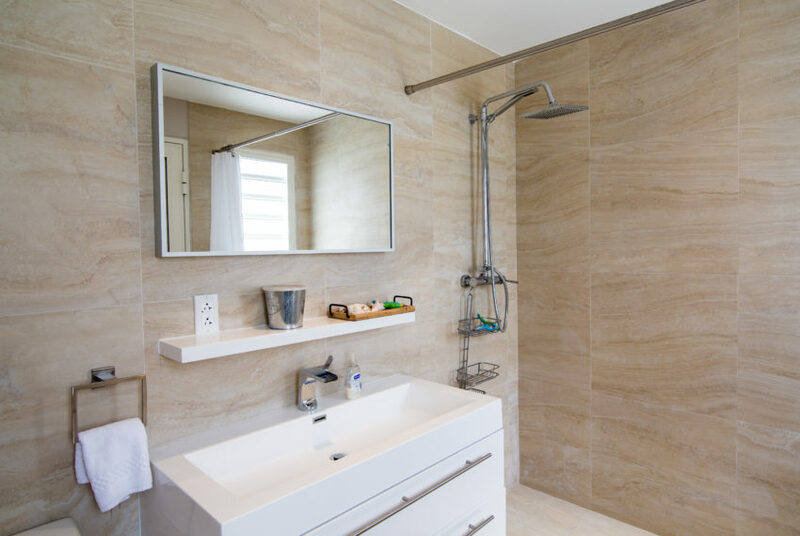 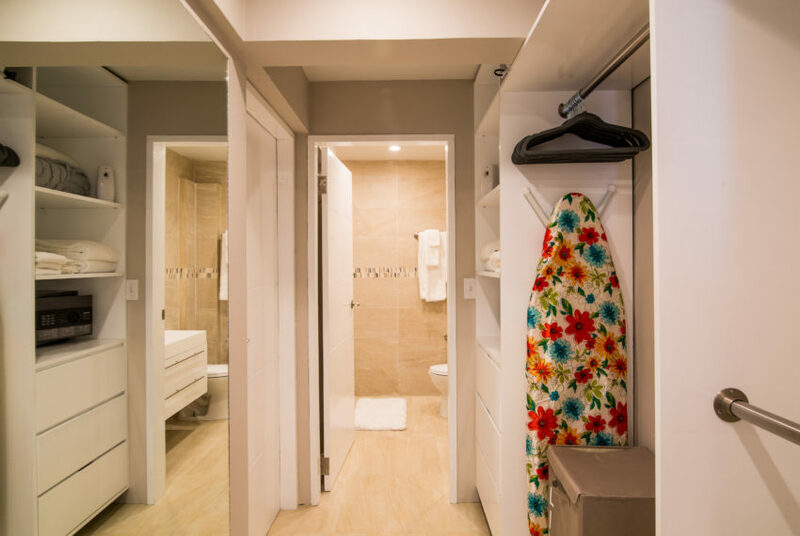 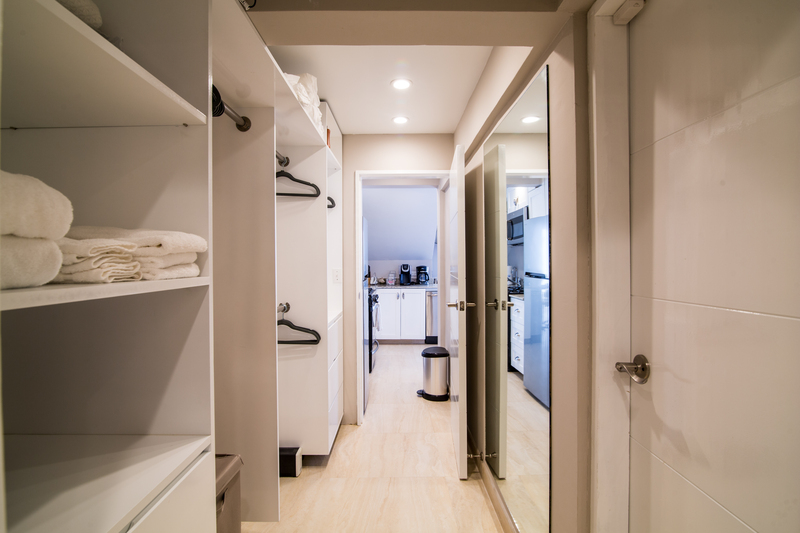 A large walk in closet, equipped with a safe, linens along with a luxurious bath with a fully enclosed glass shower. LED lighting, air conditioning, ceiling fans, high speed internet access and DISH LED Television are included. 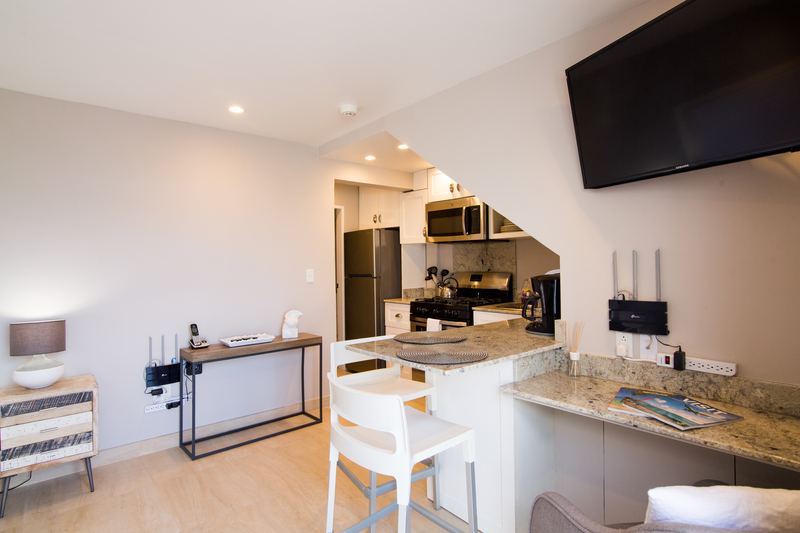 In addition, a nice desk area is also available. 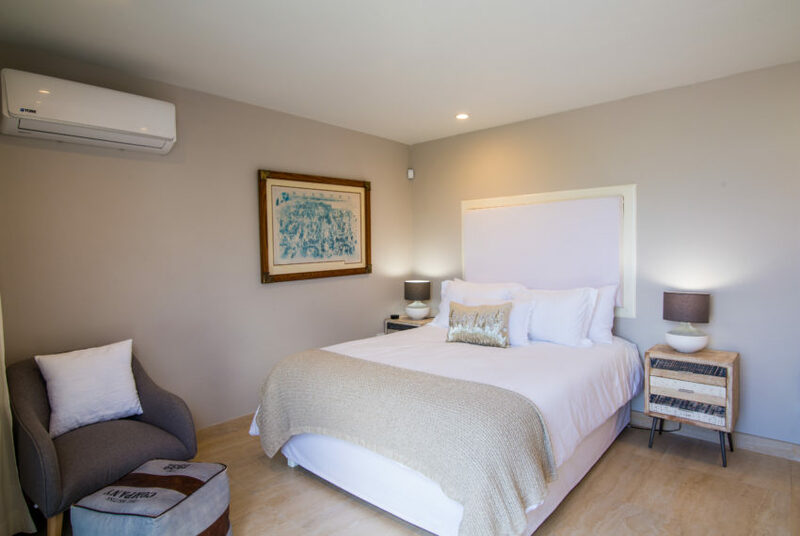 There is a queen sized bed with the softest linens known to man in addition to an inside seating area and an outside patio table with umbrella. 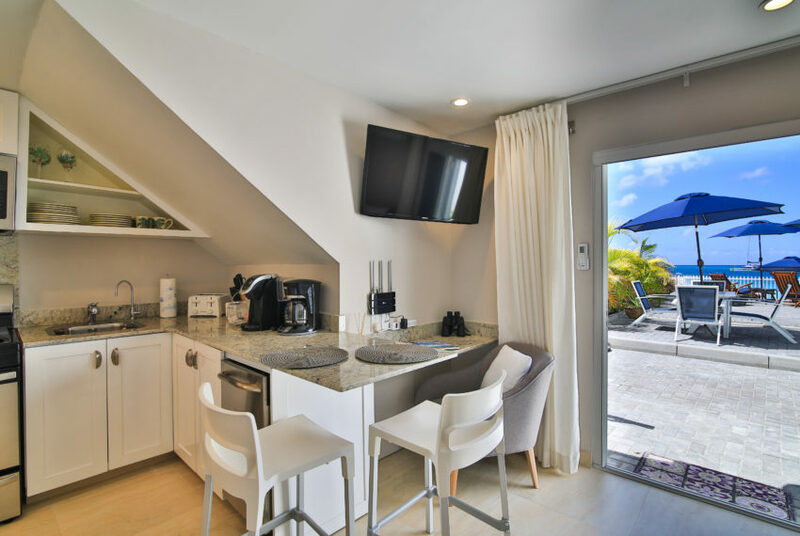 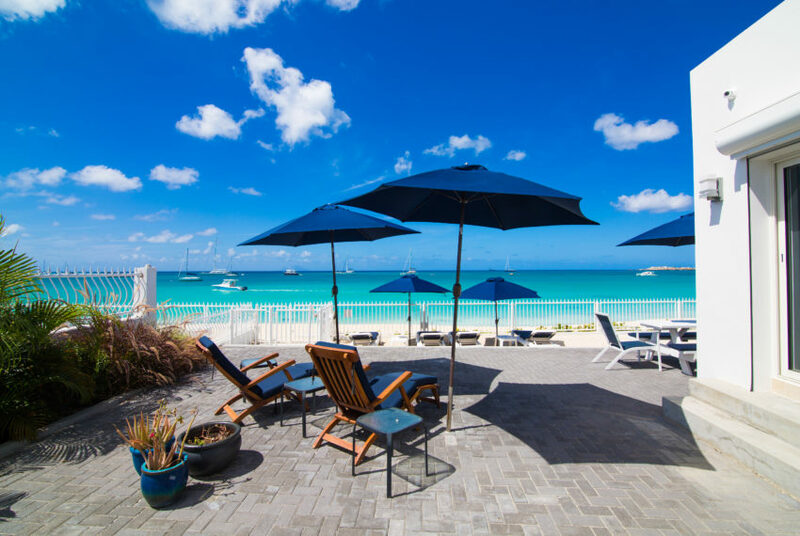 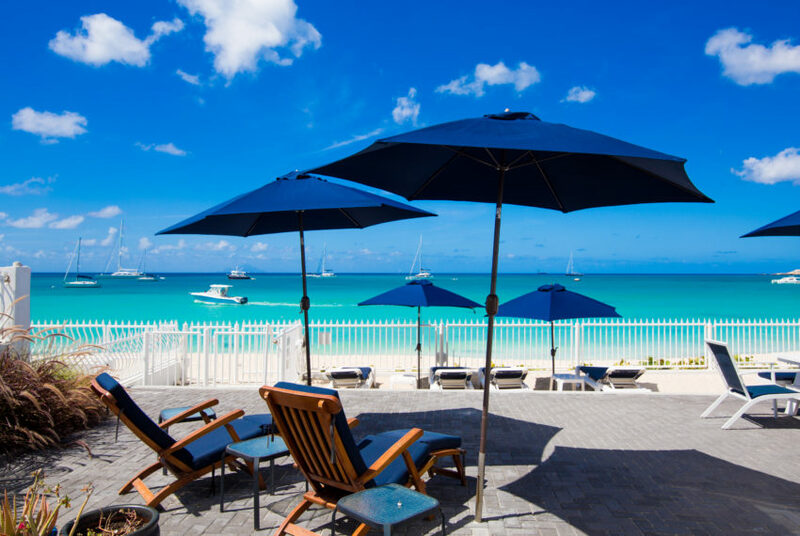 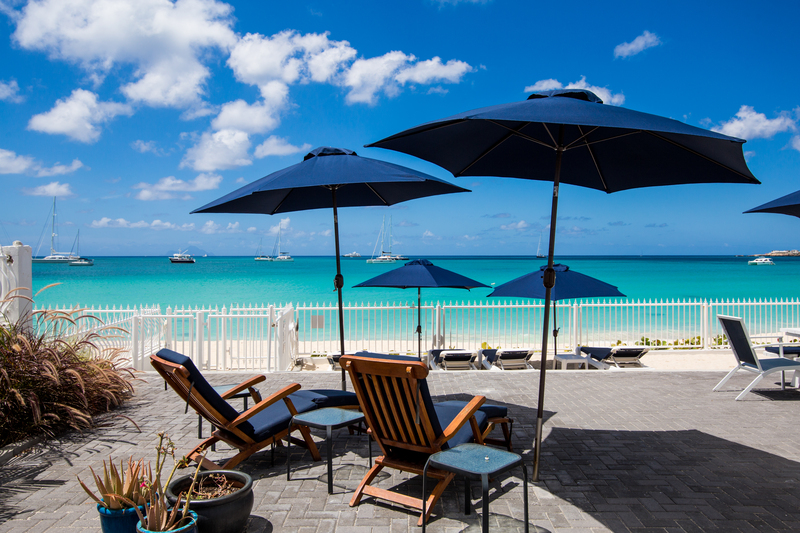 Access to the ground level laundry room and a full outside bathhouse is included as well as private access to the magnificent Simpson Bay Beach. 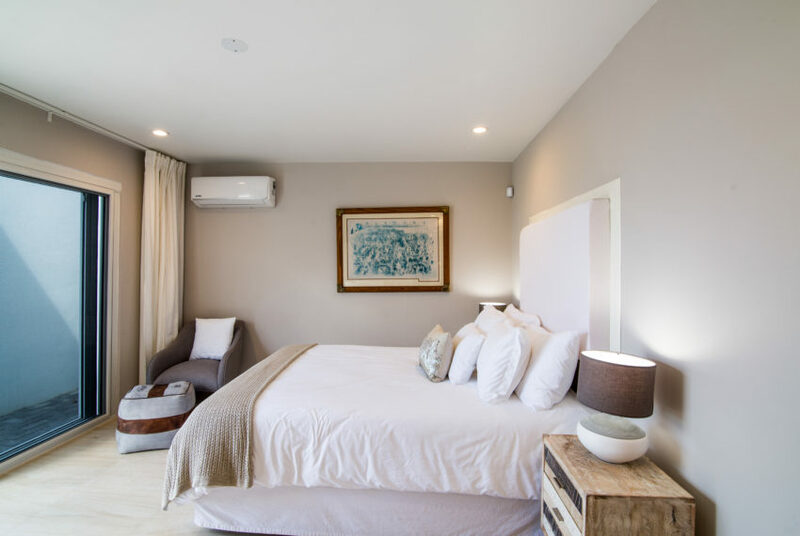 All windows have rolling shutters, and the Guest House is fully alarmed with your own keypad panel along with a video intercom and door bell. Parking for one car available inside the gated drive. Full automatic generator backup is included along with regular maid service.